I struggled this morning trying to decide what to use this platform to say on this somber day. Every adult has their own personal memory of what the morning of September 11, 2001, was like for them. My story is unremarkable. It was 7 a.m. mountain time, I was holding my then three month old son, Joe, and I turned on the television to NBC to watch a few minutes of the Today Show. I remember standing there looking at the footage of the first tower on fire, listening to the broadcasters, and being naively confused about what I was seeing. How could a pilot accidentally fly a plane into a building? A few minutes later I was watching the live footage as the second plane hit the second tower, and my confusion dispersed like the smoke rising into the clouds. The rest of my day was spent crying while watching the news footage, holding my infant son, and wondering what kind of world I had brought him into. I was one of the lucky ones. I lost no one that day. I knew no one who was there. I was 1800 miles away, removed from the terror except for what I witnessed on television. On YouTube, I can watch that same video footage from NBC that I saw that morning. I watch it in tears every single time. I can’t fathom what that day was like for anyone in New York, anyone who was looking for a loved one, or anyone who lost someone. My still visceral reaction to the video tells me that those who were directly involved with the events of that day must suffer the reopening of wounds and the revisiting of horror on this date. I can’t even imagine. I was out on my inline skates this morning as I struggled to think of what to say about the unspeakable. The sky was dotted with light clouds. The leaves on the cottonwood trees, now both green and gold, were whispering in the breeze. There were snowy egrets and cormorants on the river. I was at peace. There is nothing I can say about that morning that hasn’t already been said. I spent years reliving the terror of that day on its anniversary. This year, though, I’ve decided to approach it from a different place. I need to focus on something positive. I have everything in the world to live for, and I won’t waste a minute more of it being depressed about the things I cannot change. What happened that day was horrific. I will never forget it. But, recalling the paralyzing fear and stomach-churning agony of that day doesn’t change a thing. 2,977 innocent people died that day. I did not. So, starting today and going forward, I am going to recall the events of September 11, 2001, pay my mental respects to those who sacrificed that day, and then find something positive to live for in the moment. Every life comes with a death sentence. 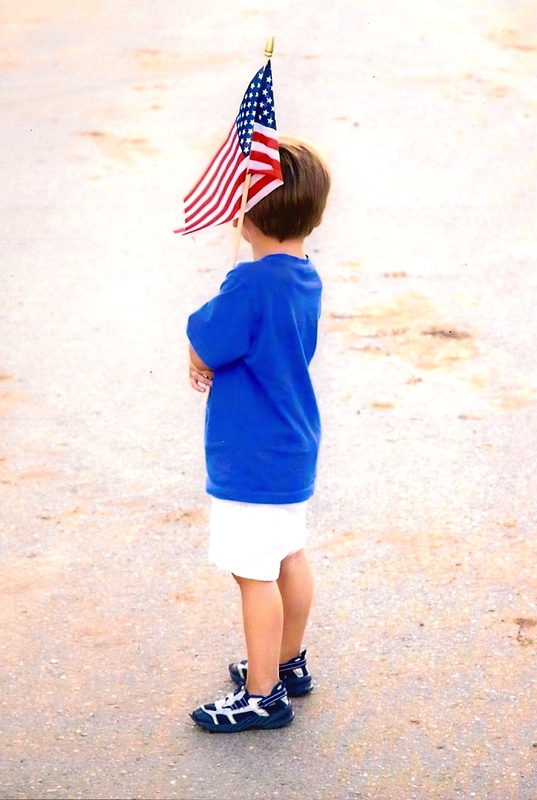 To honor the thousands who died this day eleven years ago, I am going to hug my kids, take a walk, savor a piece of cake to help celebrate the birthdays of those who happen to have been born on September 11th, and cherish the now. We never know how life might unfold or how death might unravel our life. Take some time today to thank a police officer or firefighter. Hug those you love. Find something beautiful and life-affirming to enjoy. Savor what you have. Never forget, but live wisely because you just never know what a day might have in store for you. ← Is “Old Old” The Same As “Older Than Dirt”? I couldn’t have said it better. I saw all of the profile pics and home page pics being changed on FB and I thought “I’m not doing that this year.” LIke you, I had a 3m old and I sat here in shock and cried. The flightless days that followed were odd and scary. I cried plenty thinking of the world we live in…but our world is so protected. Imagine living somewhere where this sort of thing is common. We were spoiled for 60 years not having a real attack on US soil. Just b/c I don’t wear a flag over my personal life doesn’t mean I don’t have strong patriotic feelings and feel for the losses of that day.